Interactive Google Map of the tours. 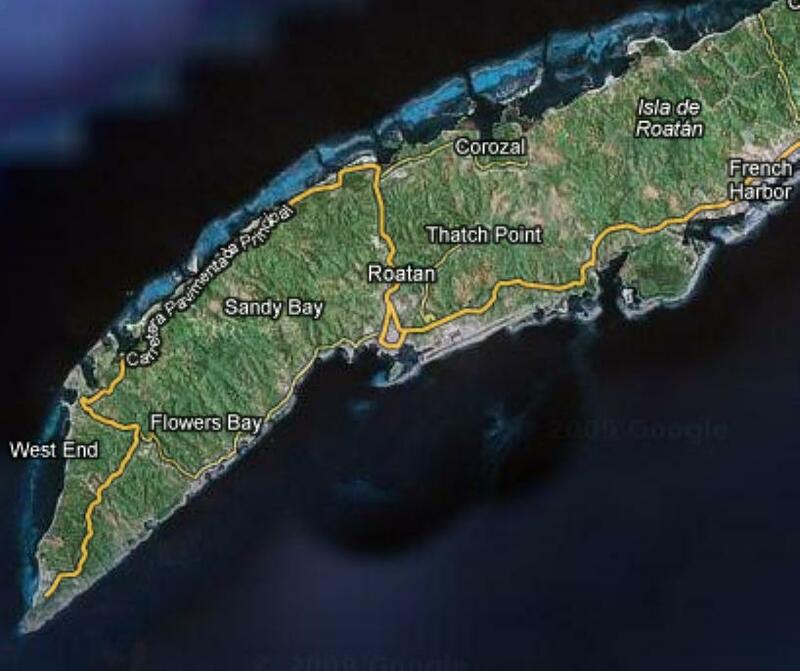 Roatán is a beautiful Island in the Caribbean Sea off of Central America. It is part of the country of Hounduras. 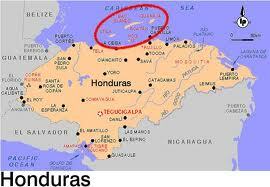 Roatán, (16.34º N 86.33º W) is the largest of The Honduran Bay Islands. It is approximately 60 kilometers(37 miles) long, and less than 8 kilometers (5 Miles) wide at its widest point and runs roughly East to West. 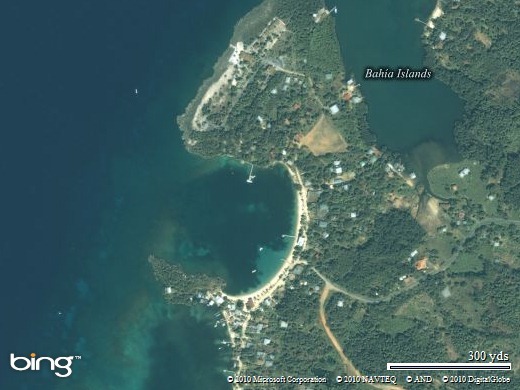 Located in the largest barrier reef in the Caribbean Sea (second largest worldwide after Australia's Great Barrier Reef). 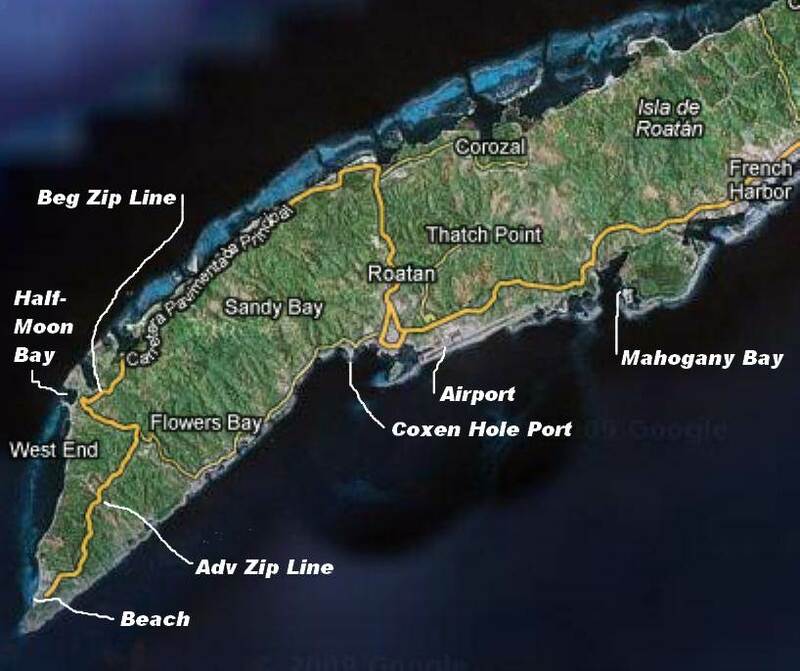 The largest city on Roatán is Coxen Hole. 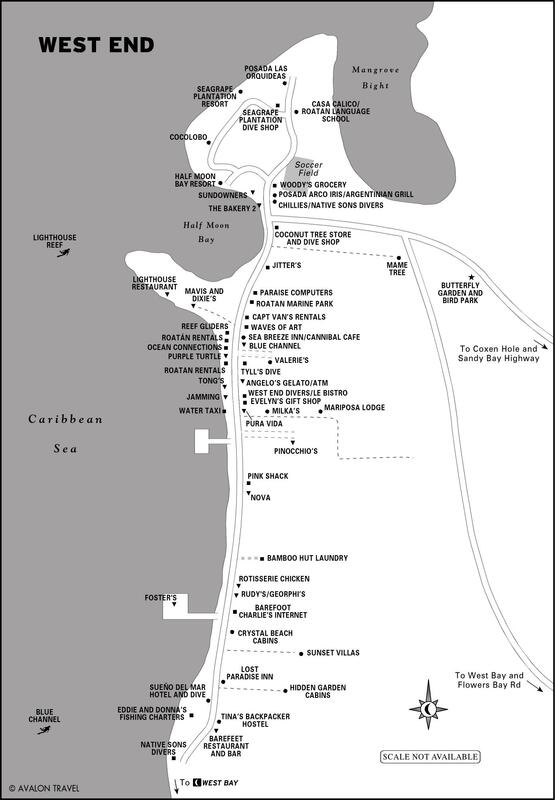 The next largest city is to the east named French Harbor. 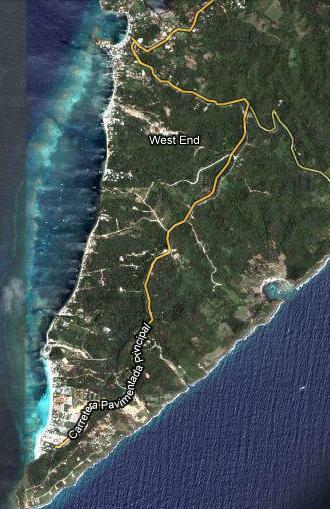 The area of the island most tourists like is the Western region of the island. We have included an Western region arial map too. 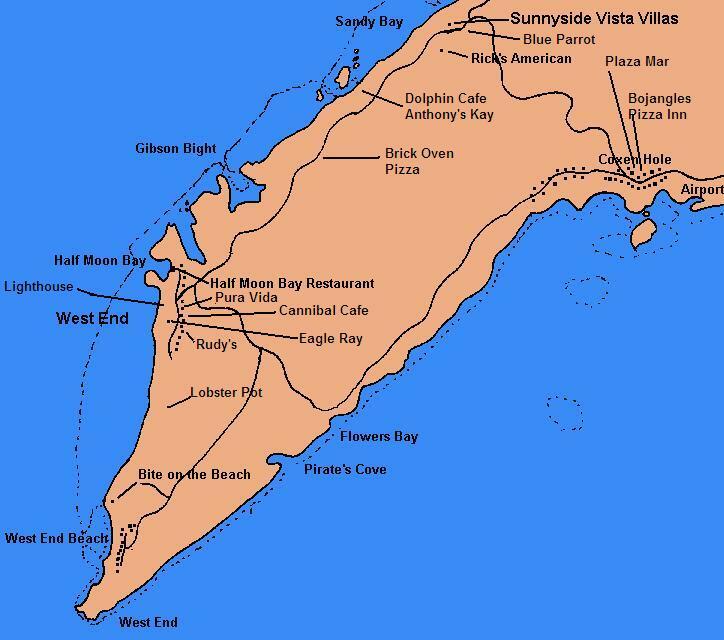 The Western region has a nice small town called Half Moon Bay. This town is located in the area West End. We also have another West End road map. 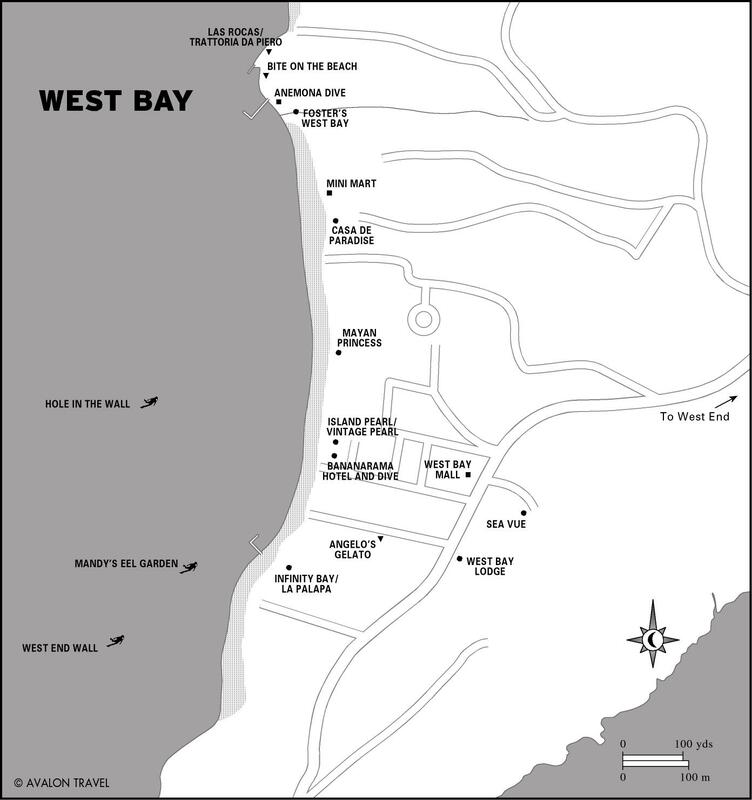 Just west of the "west end" area is an area called West Bay. I know all this "West" stuff is confusing but even in Roatán people like to "market" their area and in Roatán "West" is "Best"! Here is a map of my Western Region tours.